← Production version of the Mini-Lath Dream Cutter! 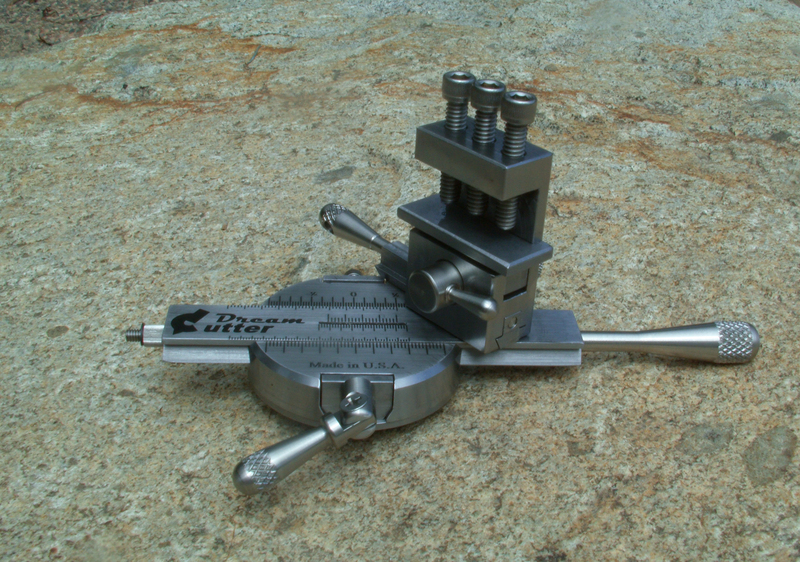 Mini-Lathe Dream Cutter showing second adjustable pivot point. This perspective shows the adjustable tool holder rotated upon the second adjuable pivot point. This exclusive feature is the primary advantage of the Dream Cutter design in that it allows for back cutting and single operation full ball cutting without adjusting the primary radius affecting final part dimensions. You can turn and part a precise sphere, dish or doughnuts in minutes in a minute. Outstanding! Congrats on getting the first production run finished. Must have one! Looks great, wonder cutting, love what I have seen. But I do not see the actual cost for the product. How much $$? Shipping Now. International shipping is possible however shipping and import taxes are an extra cost.